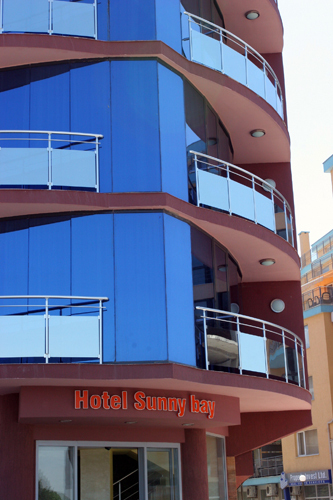 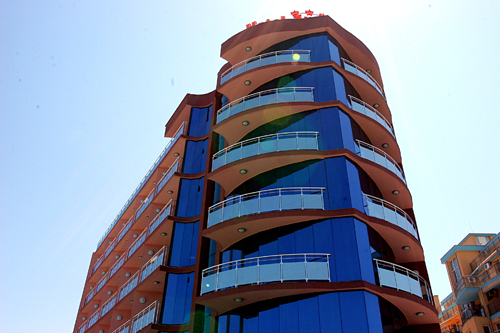 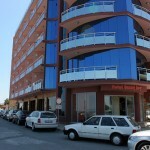 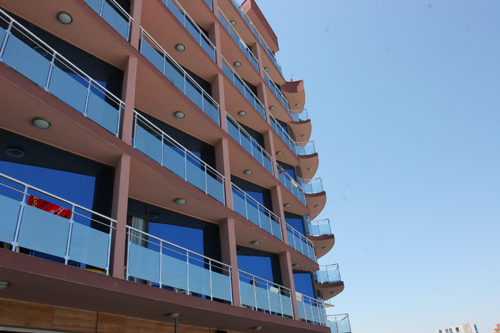 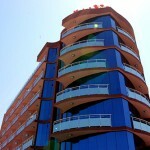 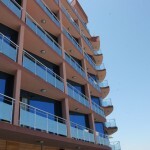 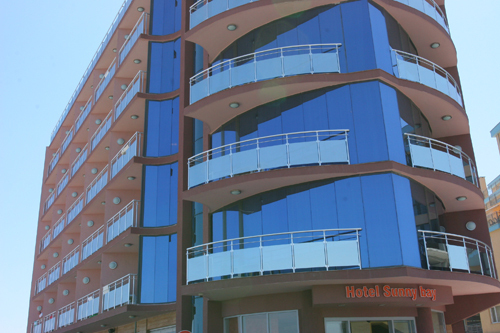 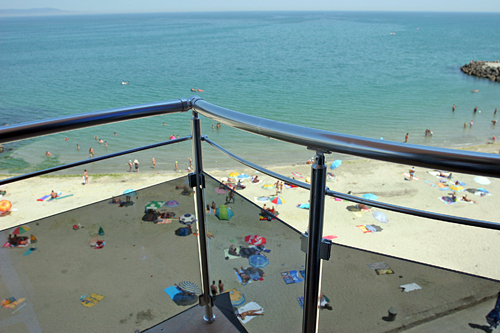 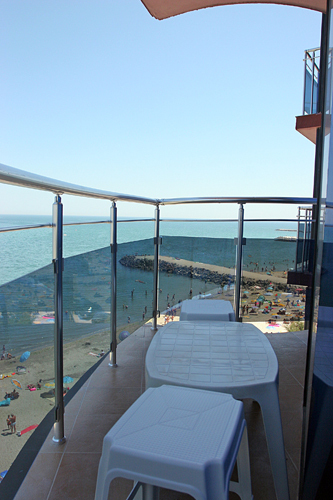 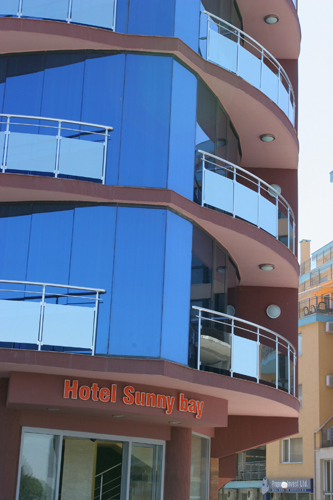 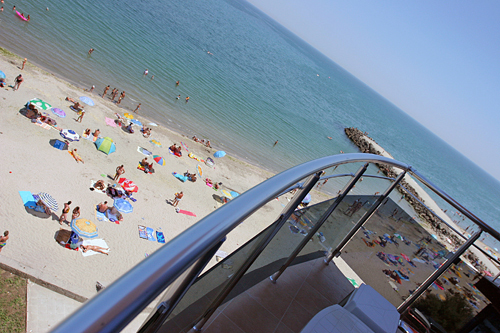 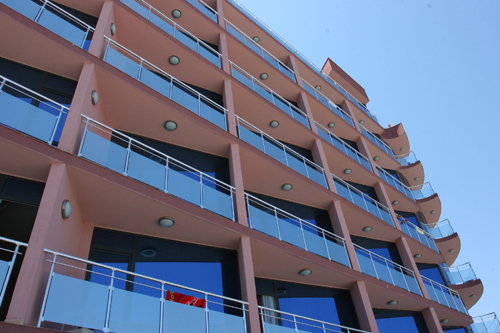 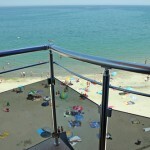 The Sunny Bay hotel is located in the Pomorie Black Sea coastal resort, right on the beach and offers ideal conditions for a summer holiday or a nice weekend on the Black Sea coast. 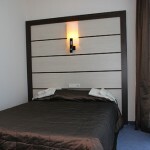 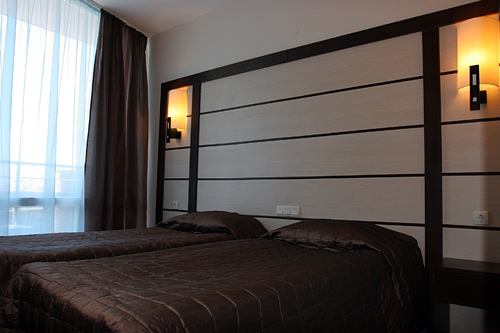 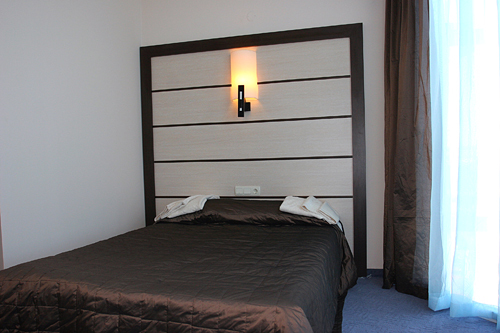 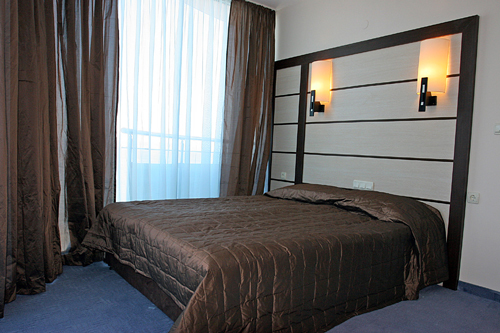 Behind its delightful modern exterior you can find tastefully furnished and fully equipped rooms and suites as well as a cosy restaurant serving delicious Bulgarian specialities and international cuisine. 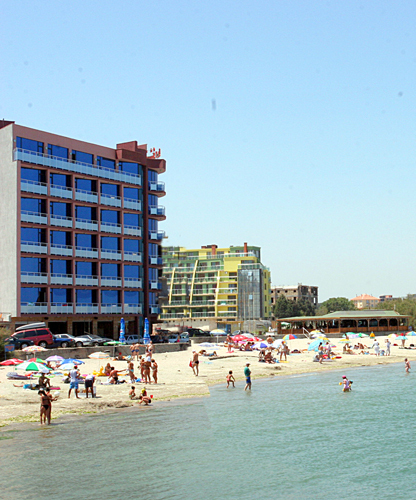 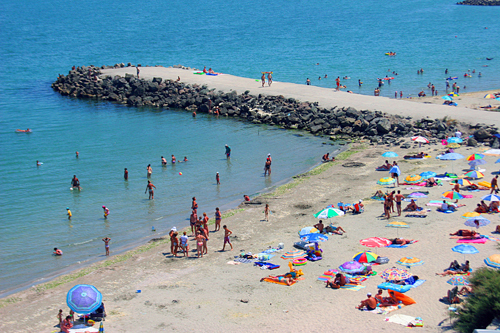 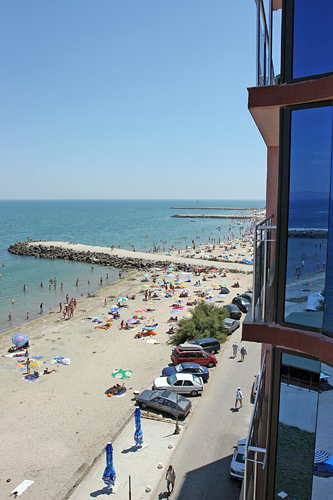 Explore the picturesque Old Town of Pomorie, sunbathe on the sandy and flat beaches and plunge into the clear sea. 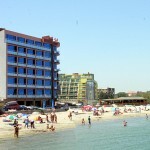 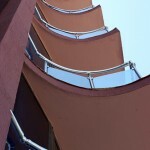 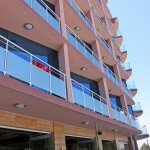 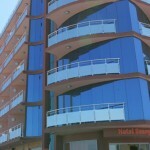 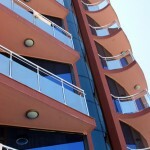 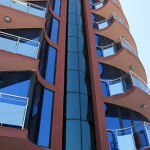 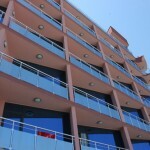 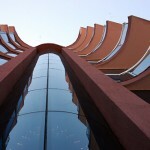 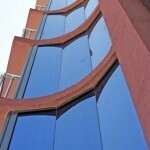 Burgas city centre is just 20 km away and it’s just 8 km to Burgas airport. 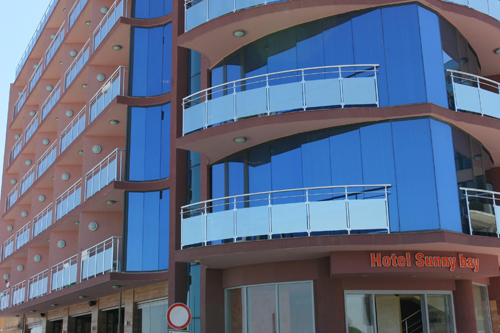 Ocean adventures await at this hotel, which is in the city center and set on the beach within easy reach of surfing/boogie boarding. 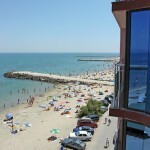 Regional attractions also include Christ Pantokrator Church and Burgas Beach. 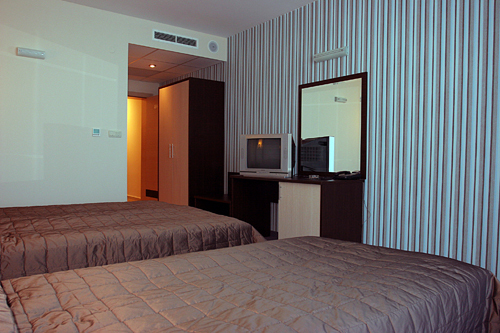 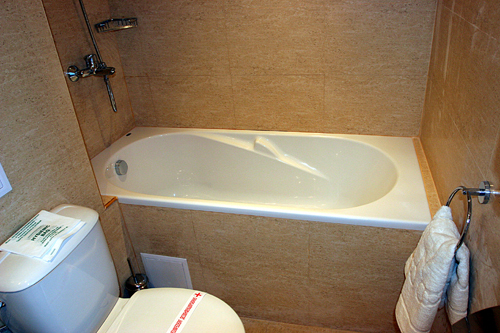 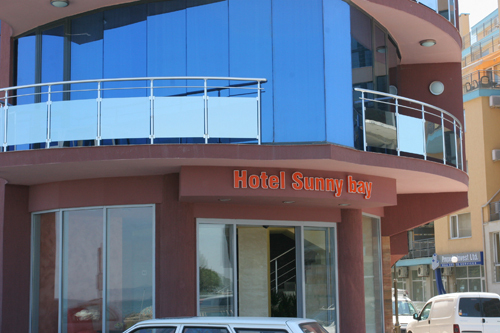 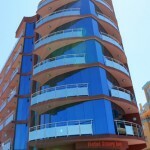 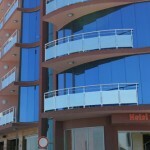 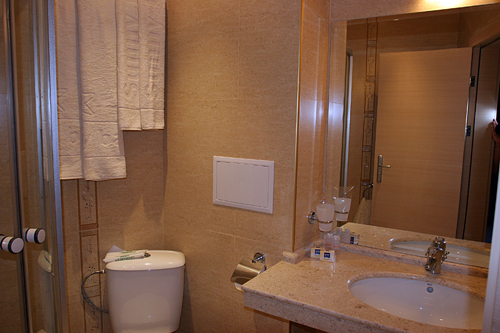 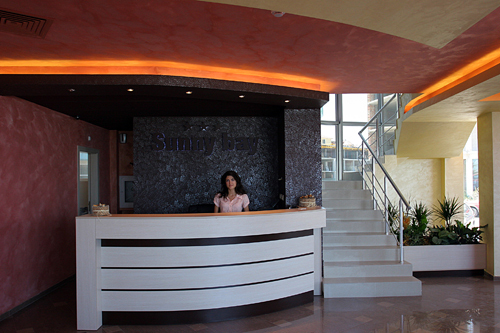 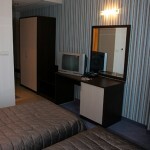 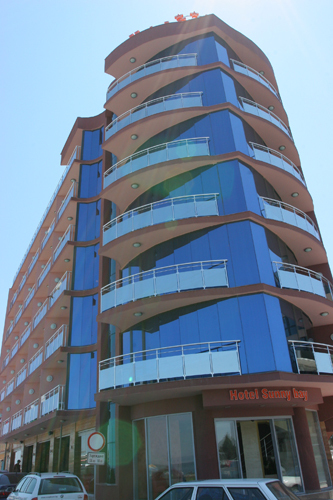 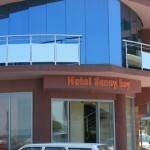 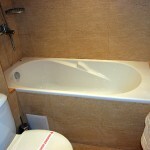 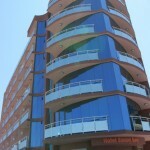 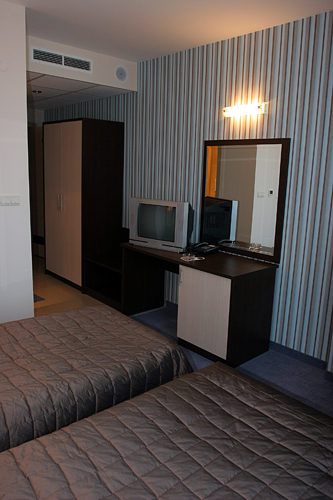 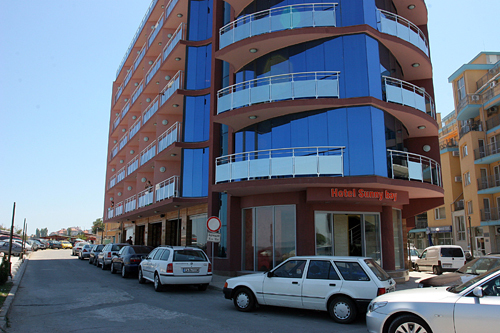 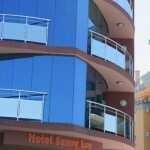 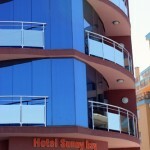 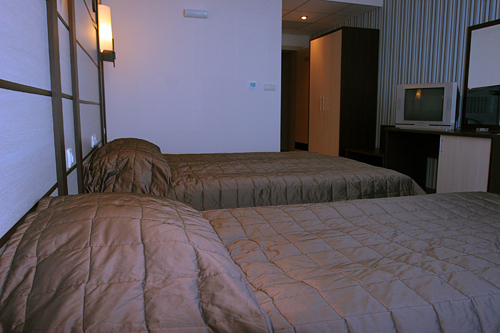 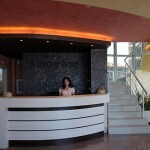 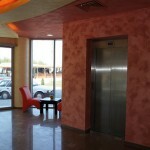 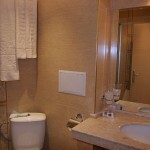 Hotel Sunny Bay provides a bar/lounge, free parking, and a 24-hour front desk. 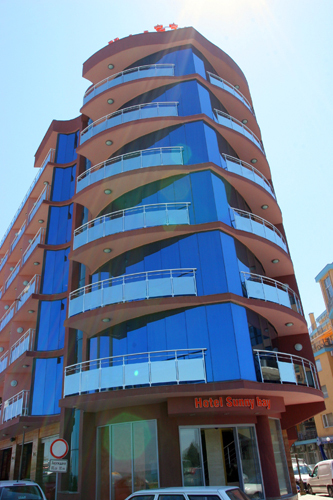 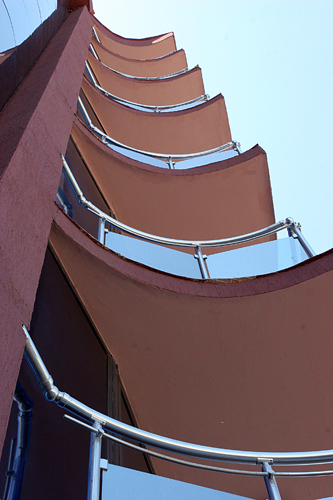 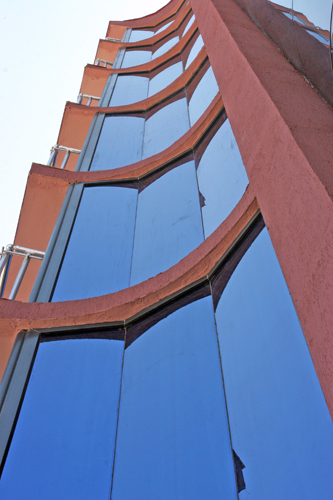 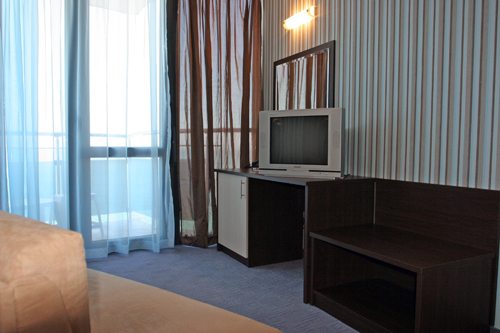 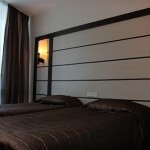 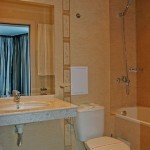 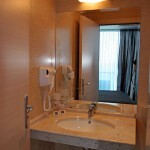 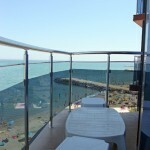 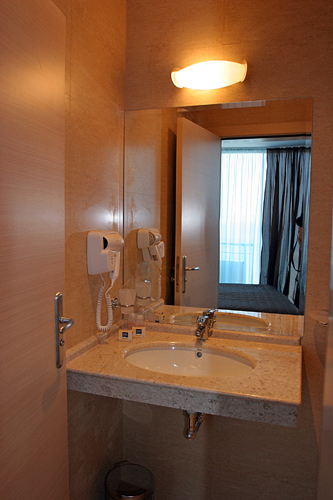 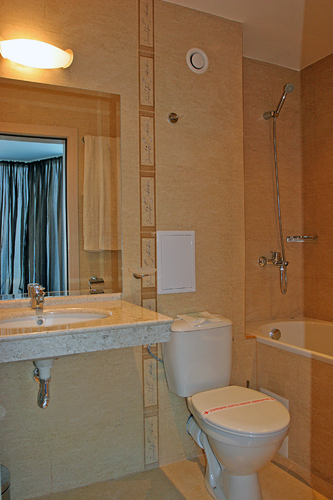 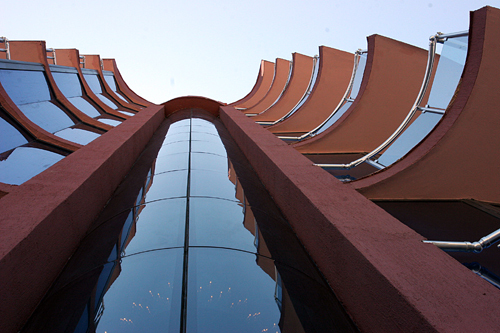 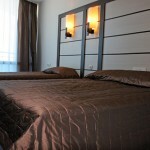 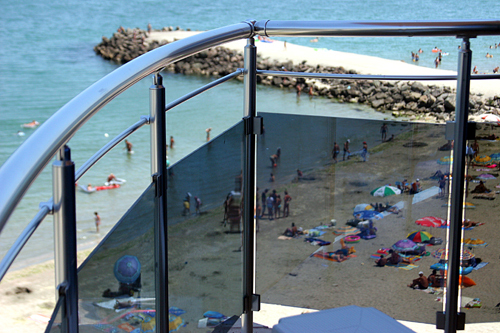 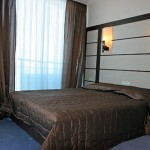 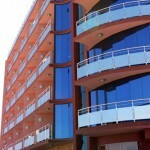 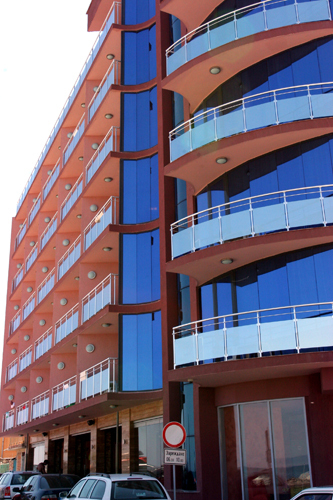 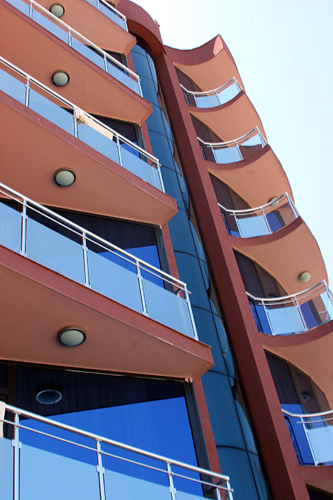 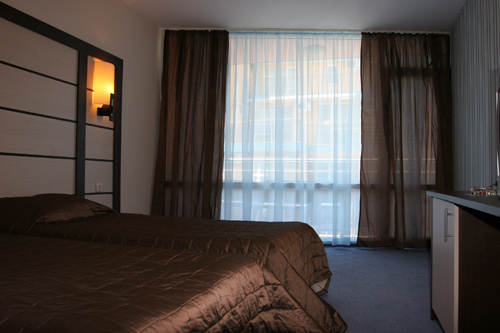 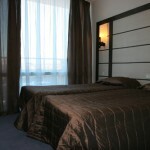 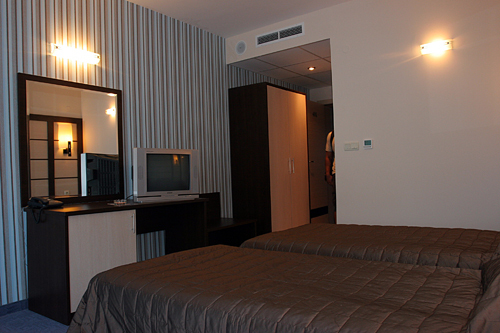 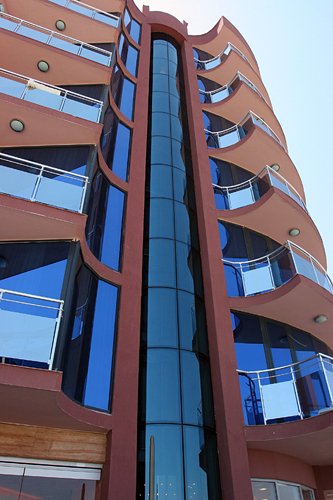 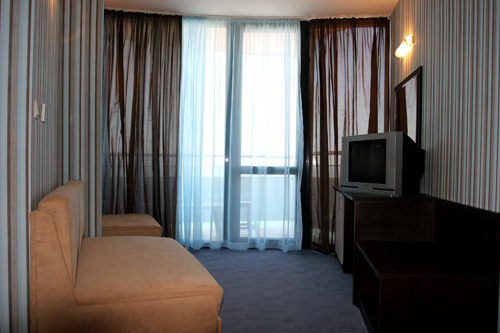 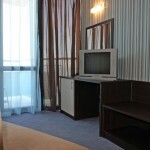 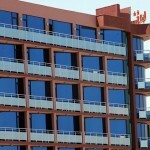 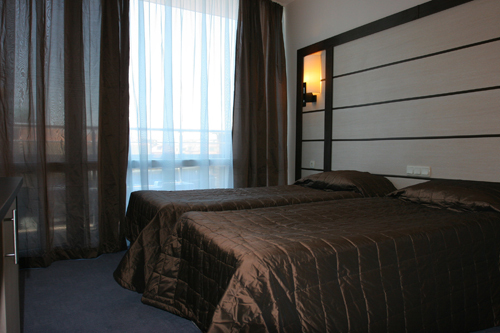 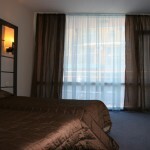 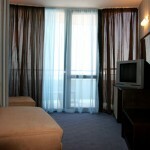 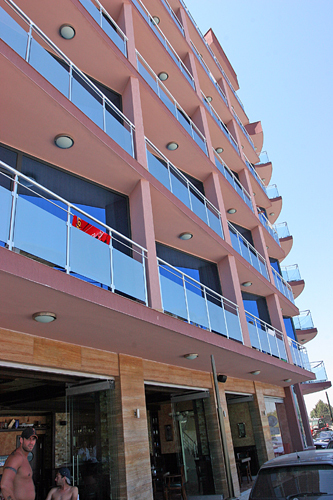 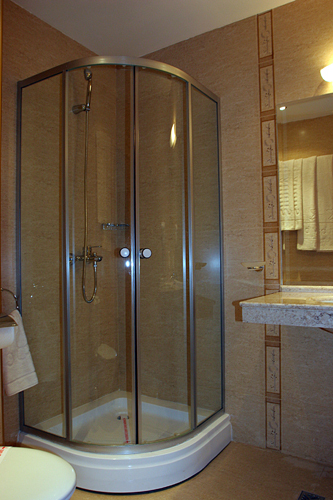 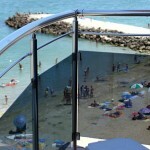 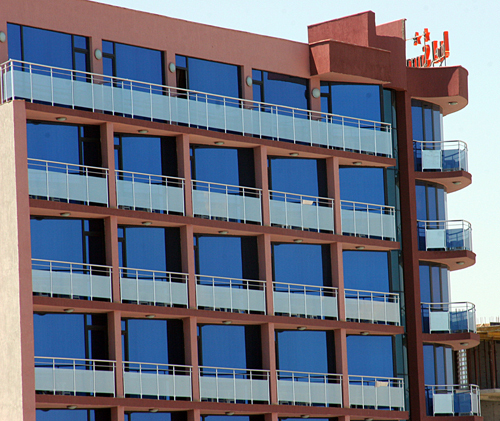 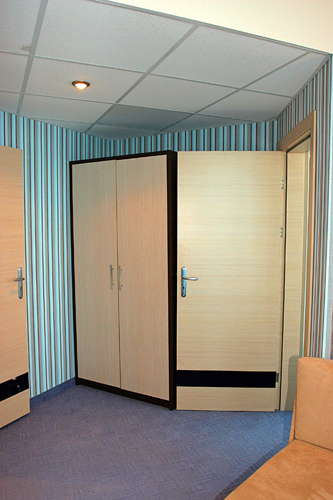 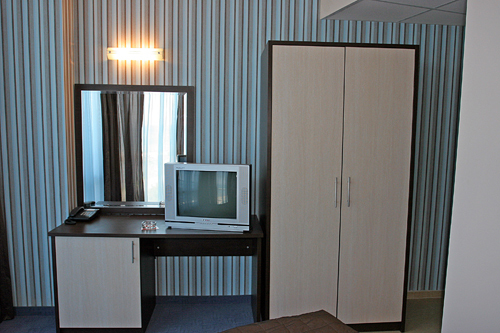 Guestrooms open to balconies with city or sea views and feature televisions with satellite channels. 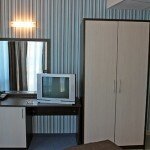 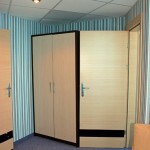 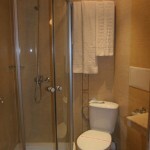 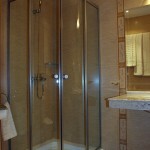 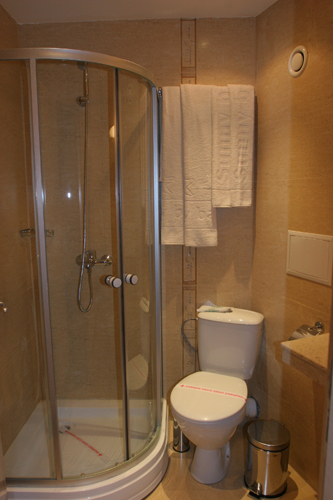 Other amenities include washers/dryers, refrigerators, and air conditioning.